Home / blog / Suffering from Diabetes and Obesity? The answer is Naturopathy! Suffering from Diabetes and Obesity? The answer is Naturopathy! Do you think your weight is a bit more than it should be? May be this is the time you checked if your body is suffering from something bigger! A worldwide instance of obesity and diabetes has increased significantly since 1980s, and now it has become the matter of global concern. At Nimba Nature Cure Village, you can opt for naturopathy treatment packages which include hydrotherapy, yoga therapy, mud therapy, naturopathic diet, massage therapy, and physiotherapy; to effectively deal with obesity and diabetes. Obesity is not a disease itself, rather it is a condition. Obesity is defined as excessive adipose tissue accumulation in the body. People believe that obesity can lead to other problems like heart diseases. But it is not just cardiovascular diseases; the overweight person may also suffer from liver and gallbladder diseases, sleep apnea, fractures, hypertension, musculoskeletal disorders like degenerative arthritis and even certain type of cancers. Increased body mass in your body means the heart has to push the blood harder, which increases the blood pressure and chances of getting a stroke. Also, the psychological trauma due to society makes the life really difficult for the obese person. And excessive fat accumulation in the body makes you more prone to have a heart attack or stroke. 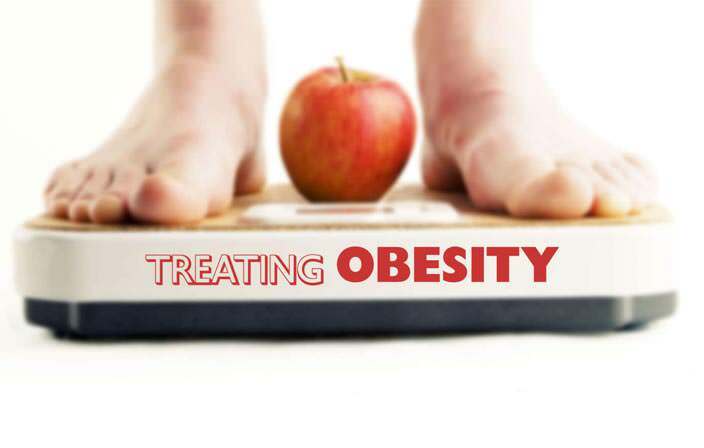 Obesity brings along so many health hazards which can be effectively prevented only with the help of Naturopathy. You should regularly analyze your weight and metabolism, blood pressure, and stress levels to keep Obesity at a bay. It is important to have regular health checkups and keep a tab on your health condition indicators like organ function, sugar levels, cholesterol levels and BMI. The easiest way to gauge the amount of tissue mass in your body is the BMI. It is the simple index of weight-for-height in the body. If BMI is greater than 25, the person is considered to be overweight and a BMI greater than 30 is the sign of Obesity in adults. One of the most promising ways to prevent obesity is Naturopathy. Analyzing the potential risk factors and taking preventive measures as soon as possible, is the only way! You should surely opt for a Naturopathy treatment at Nimba Nature Cure Village, if you think you are overweight, and it is creating a trouble. Naturopathy can stop the obesity from getting severe and it prevents from other diseases. By correcting the imbalance of the body’s systems, these therapies help in restricting the risk of other diseases associated with Obesity. Naturopathy treatment for Obesity at Nimba includes sauna baths, steam bath and heavy massage which creates excessive perspiration and redistributes fatty deposits. How Diabetes and Obesity are connected? Obesity causes increased levels of circulating fatty acids which can lead to insulin resistance, and eventually type 2 diabetes. Diabetes is a condition when the body is unable to produce or utilize enough insulin, resulting in increased blood sugar levels. Type 2 diabetes is largely the result of excessive body weight and lack of physical activity. Naturopathy can be a great way to control diabetes and its risks. Poor diet, over-eating, nutritional deficiencies, high refined grains and sugar consumption, high saturated fat consumption, lack of exercise, and obesity are the main reasons behind diabetes. Obesity and Diabetes both are correlated and difficult to cure. One of the best remedies for Obesity and Diabetes is Naturopathy. At a Wellness retreat in India like Nimba Nature Cure Village; you can treat diabetes and obesity by losing weight, gaining significant energy, managing glucose levels, and reducing blood pressure through Naturopathy treatments. How can you prevent Diabetes & Obesity? Only focusing on reducing the weight by diet or medicines wouldn’t work. Tackling Obesity and Diabetes requires correction of all the modifiable risk factors, with the help of Nature. Rather than trying to eliminate symptoms, Naturopathy addresses the root cause of the condition and brings back the healthy equilibrium of the body. Naturopathy treatment for Diabetes at Nimba includes a thorough physical exam, proper diet, yoga, walking exercise, mud therapy, and hydrotherapy. Obesity and Diabetes are very common disease condition across the world. 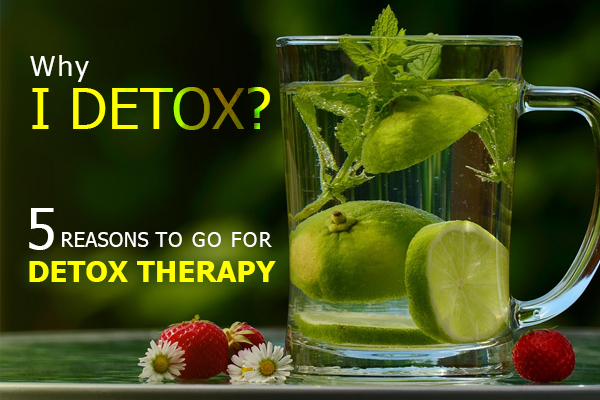 Naturopathy can effectively prevent onset of more diseases and reduce their severity. 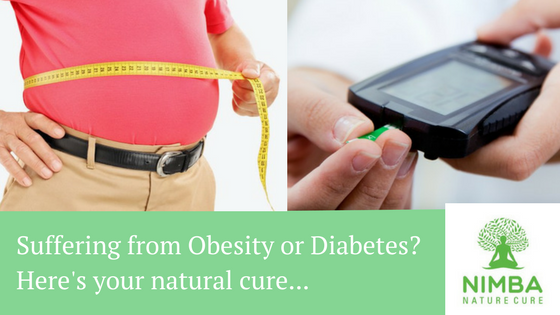 The Nimba Nature Cure Village offers comprehensive packages for treating Diabetes and Obesity. 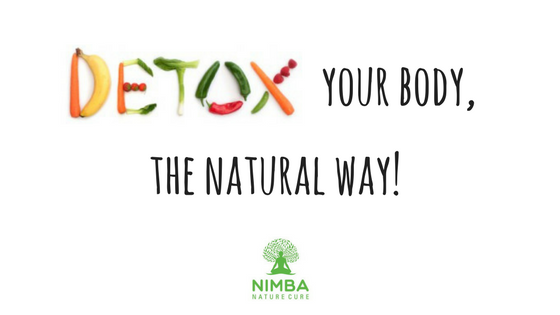 Come and experience a healthier and energized you, only at Nimba.